The Demi Grow Pushchair from Nuna is a single pushchair that comes with an additional seat unit (sibling seat) which enables it to expand into a tandem incase you wish to transport two children at once. With it’s accessories, the Demi Grow has an impressive 23 possible configurations, so you are sure to find one that suits every situation, no matter what fate may throw your family's way. The luxurious reversible seat unit (which can be positioned to be either parent or forward facing in the upper position) is cleverly ‘all-weather’ meaning that is has breathable mesh for warm summer days and comfy cosy soft goods which are perfect for winter walks. The seat also features a 3 position reclining backrest and an adjustable calf support for superior comfort. The custom dual suspension is fantastic at soaking up bumps in the road for a smooth ride, whereas the ball bearings within the front and back wheels provide nimble manoeuvrability. 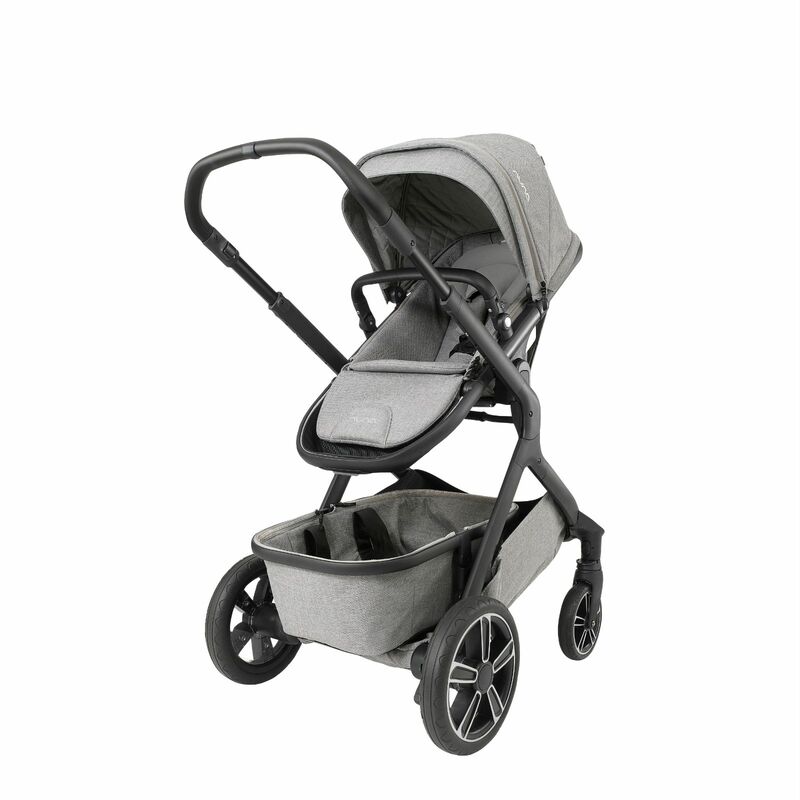 Add this to the tough, foam filled, airless tires an you have a pushchair that's ready for anything! The Demi Grow also benefits from a height adjustable handlebar, one-touch central braking system and a frame that stands on its own once folded. 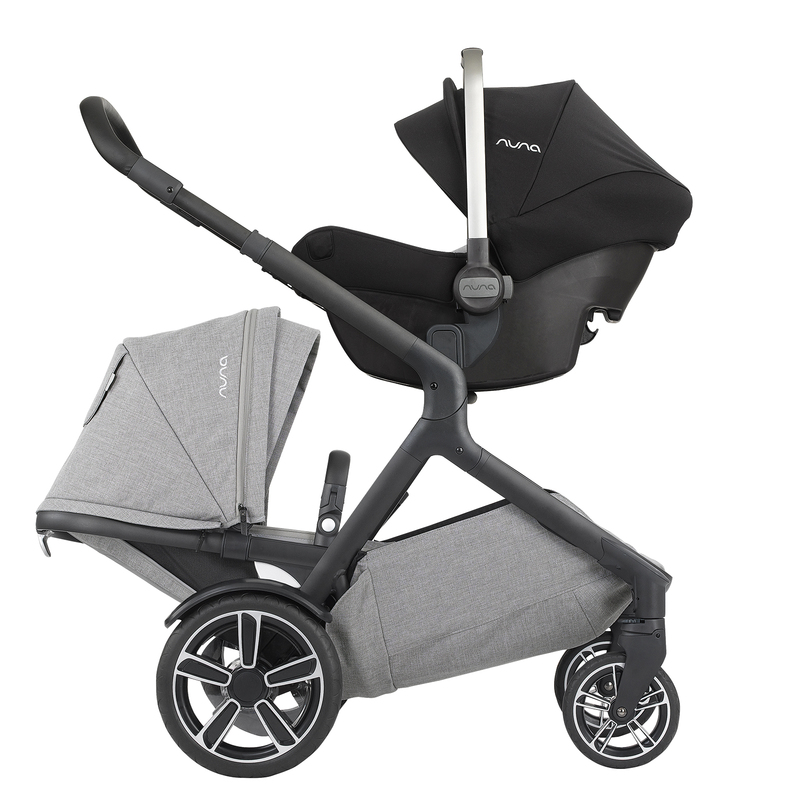 The extendable UPF50+ protective canopy features a flip-down eyeshade and features a mesh peek-a-boo window for increased ventilation and to allow you to keep an eye on your little passenger (when facing forward). Coming with all the necessary adapters to attach 1 or 2 car seats, toddler seats or carry cots, the Demi Grow also comes complete with footmuff, raincover and a removable market basket which folds with the pushchair or detaches completely so that you can carry it on-the-go. 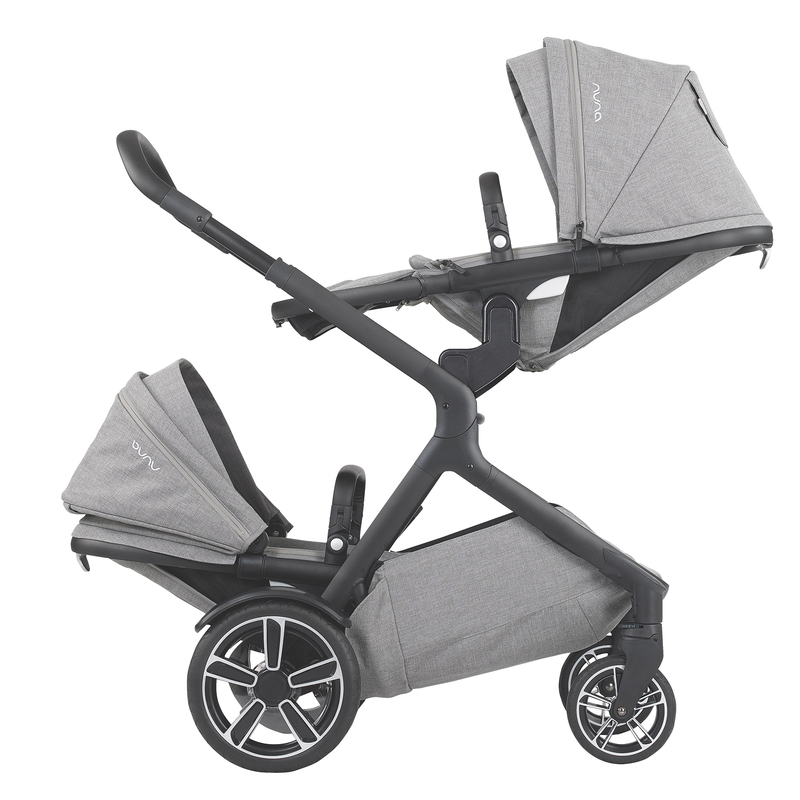 When converting from a single pushchair into a tandem, the Sibling Seat clicks easily into place and is in all intents and purposes an exact replica of the original seat unit, featuring a padded leg rest, removable bumper bar and an extendable UPF50+ canopy. 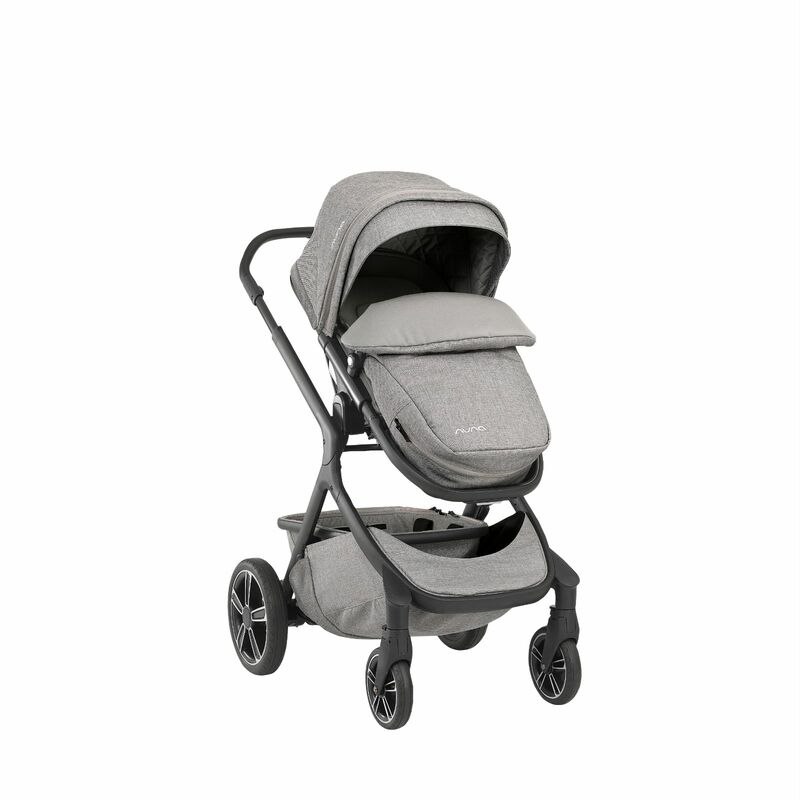 Also connecting swiftly to the Demi Grow pushchair frame, the Demi Grow Carrycot provides a cosy and safe environment where your infant can lie completely flat when strolling. 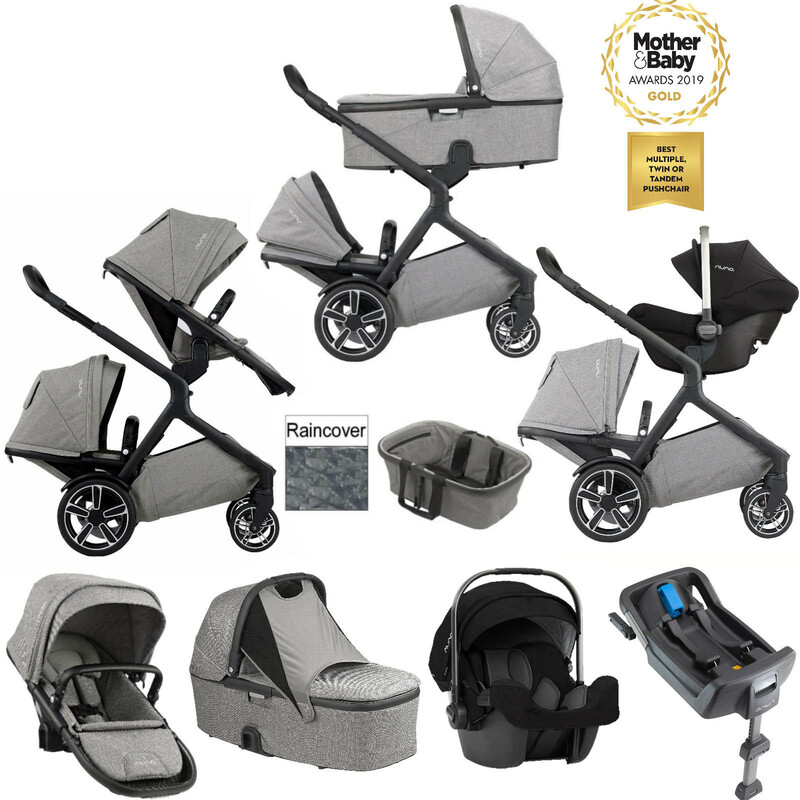 Suitable from birth, the carrycot features an oversized canopy, a comfy dual-sided mattress (one side for cold weather, one side for warm) and a removable top cover to help keep baby warm. 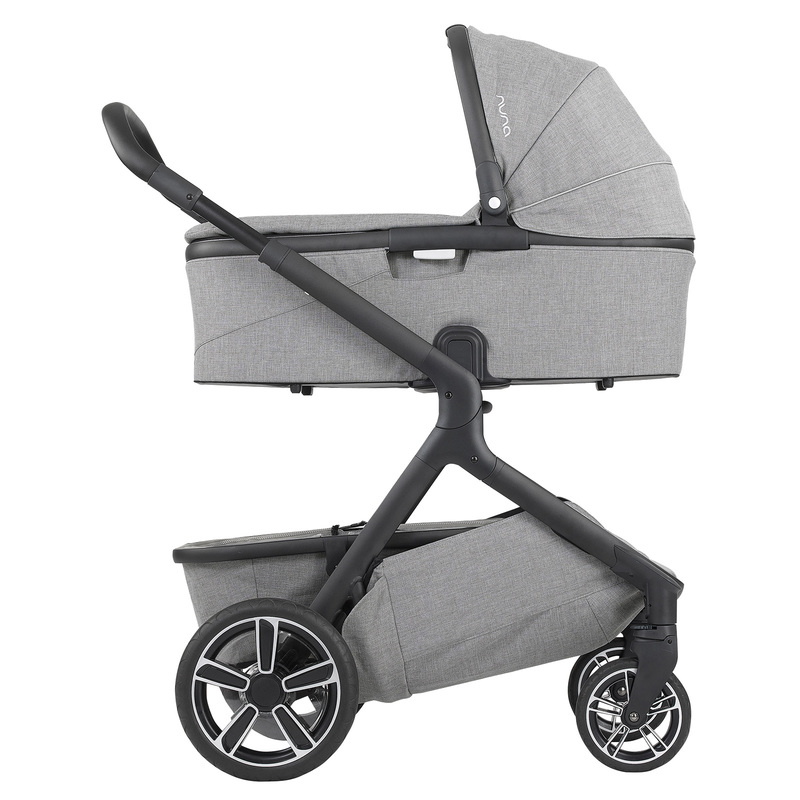 The zip-out liner is machine washable for convenience, whereas the non-slip feet line the bottom surface of the carrycot for added security and cleanliness. Other features on offer come in the form of integrated ventilation panels, peek-a-boo window and it even include a dream drape which has been designed to shield baby from daylight to allow them to sleep peacefully. The included Nuna Pipa Icon Car Seat meets the new i-size safety standard and is equipped with a one-handed adjustable headrest which adjust to 7 positions and keep your infant riding in the recommended rear-facing position up until they reach a height of 85cm. 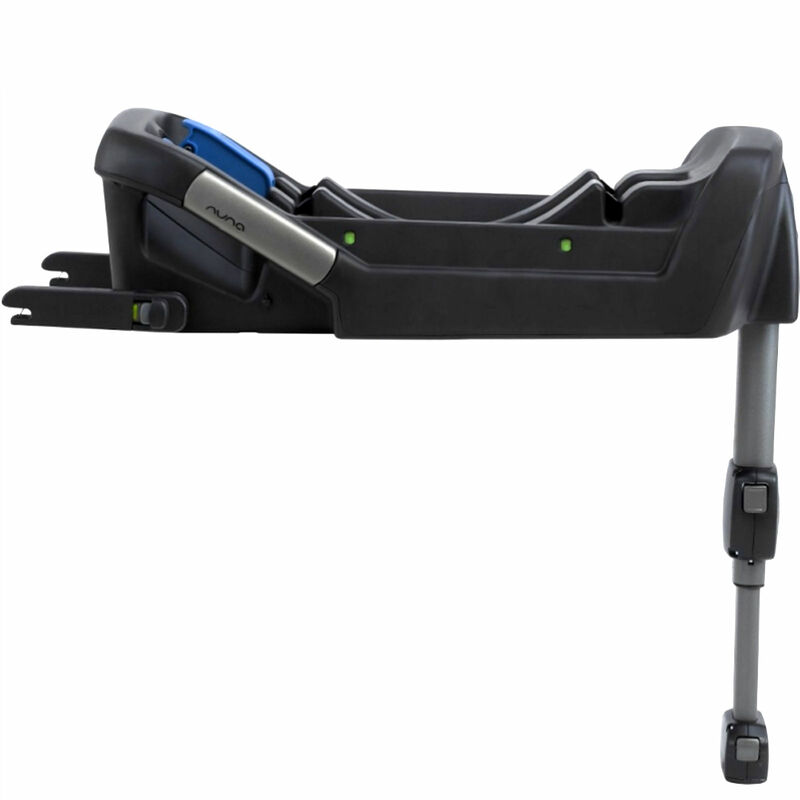 The car seat connects easily to the Demi Grow pushchair frame to form a comprehensive travel system, and can be installed in your vehicle in just 5 seconds flat when using the Pipafix Isofix safety base (included).